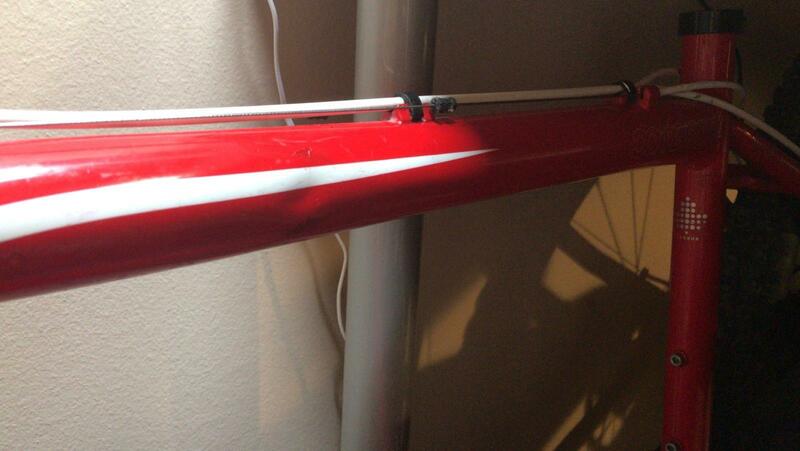 I recently bought a bike and then realized it had a dent on the top tube. I would like to know your opinion if it is safe to ride. The bike is a Devinci Cameleon made from double butted aluminium. The purpose of the bike is only to go to work. No downhills. The paint was affected because of the impact, but is not flaking and the tube is straight. Add this area to your monthly bike maint/check routine. That is, look at it every month, perhaps take a photo and decide if its growing or not. If not, is fine. If the dent starts flexing, paint starts flaking, or anything like a crack appears then stop riding it and reassess. And if the handling changes, stop immediately and check the whole bike over - even in the middle of a ride. Not the answer you're looking for? Browse other questions tagged frames safety damage or ask your own question. Can I swap my 49cm fixie frame with a 47cm, with every other part fitting right on the new frame? How to identify lead paint? Is it ok to sit on the top tube of my Cannondale CAAD12 (2017 model)? 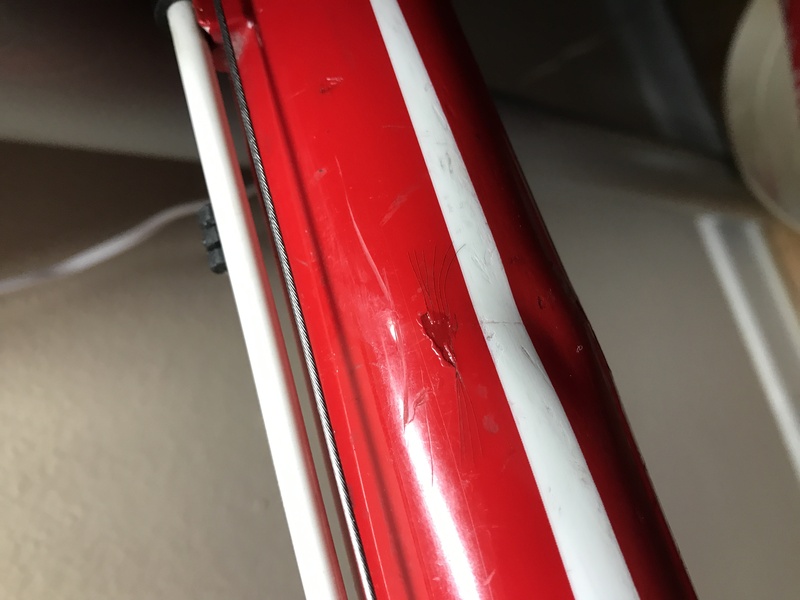 Is it possible to repair a dent on frame? 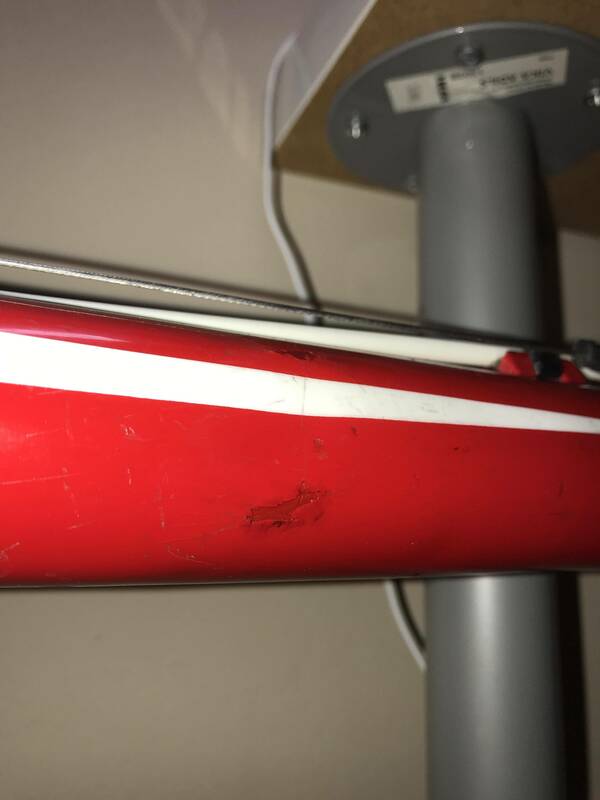 Dent in titanium MTB frame, is the frame OK to ride?